Laser cut parts and frames. Die cut PVC cabin and deck. Full colour decals and flags. 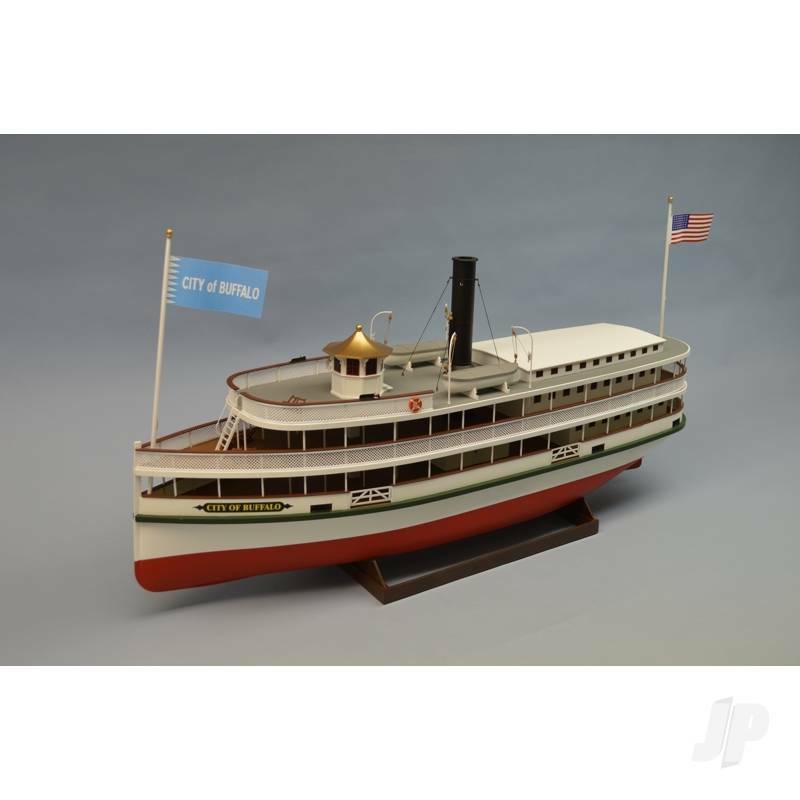 The City of Buffalo is a delightful example of the steamboats that flourished on the resort lakes of the north eastern United States in the late 1800s and early 1900s. Designed by Capt. J. W. Pierce she was built in Jamestown New York, and launched in 1890 on Chautauqua Lake. One of 13 large (125') steamboats built entirely of wood and sheathed in steel, she served the region from 1890 - 1929. Unfortunately like so many of her sisters she was destroyed by fire. This 1/48th scale model of the City of Buffalo is balsa planked over laser cut liteply frames and uses a combination of balsa, poplar plywood and expanded PVC. A beautifully detailed model the kit features cast metal pieces, laser cut components, flags, decals and much more. Meanwhile the construction documentation includes full-size plans, a 57 page instruction booklet and a 30 page figure pack with 70 individual figure drawings. Treat yourself to an iconic American lakeland steamboat.